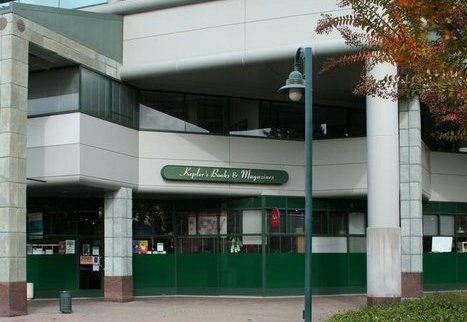 Sustainable San Mateo County recognized Kepler's Books, Menlo Park, Calif., with one of three 2016 Sustainability Awards "for its efforts in rebranding the 61-year-old institution as a community gathering space, as well as for sharing its successful business model with other independent bookstores around the nation and beyond," the Daily News reported. Adrienne Etherton, Sustainable's executive director, said Kepler's is "addressing all of the different pieces of the puzzle. It's an organization that's in a tough industry... that really speaks to the economics, but you also have the social justice aspect with increasing wages. I also like the democratically run nature of Kepler's." Sustainable praised the store's nonprofit, Peninsula Arts & Letters, which "offers lectures, panel discussions, on-stage interviews and educational workshops with a goal of supporting lifelong learning and literacy"; and noted that CEO Praveen Madan shares his "open-source" business model with other bookstores. Madan said he was "very pleasantly surprised" to learn Kepler's had won the award, adding that he receives inquiries from other bookstores "once or twice a month... about how the nonprofit model is working... I do sense that at the grassroots level, there's a fair amount of interest at finding new models." He added that the bookstore is "in a solid place and doing very well" in 2016, and he expects to "fully launch the nonprofit" by filing for tax-exempt status for Peninsula Arts & Letters and finalizing its board of directors this year, the Daily News wrote.